Vranja is a popular traditional Quince that is easy to grow in the southern UK, or against a south-facing wall in northern areas. 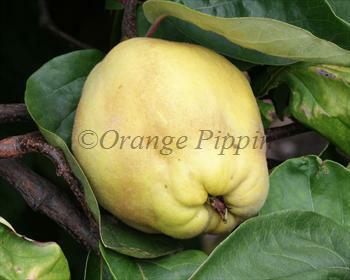 The fruits are large and attractive, with a strong quince aroma. Please fill in the details below and we will let you know when Vranja quince trees are back in stock. Vranja is partially self-fertile, but fruiting will be improved if there is a compatible tree of a different variety nearby. 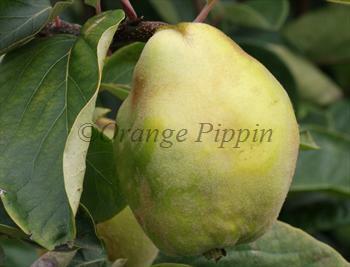 Like all quinces, Vranja is best grown as an open-centred or bush-style tree. It is generally reliable but can be a light-cropper - planting Meech's Prolific or Serbian Gold nearby will help. Originates from eastern Europe, introduced to the UK in the early 19th century.